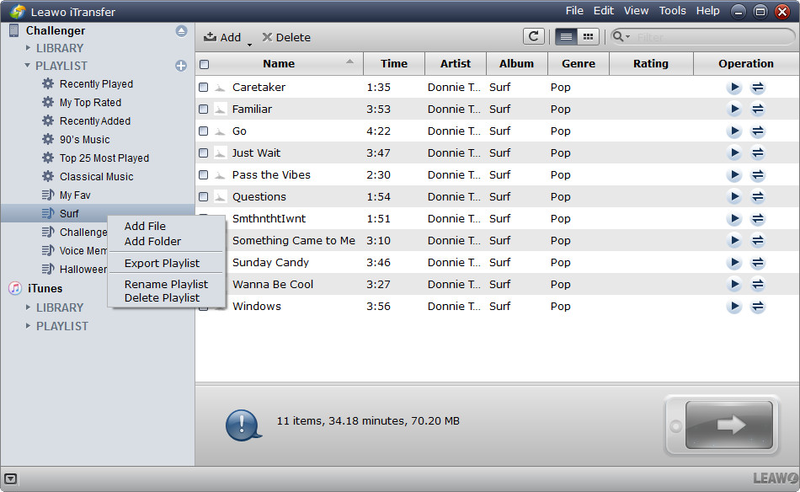 Playlists can help you classify and group all kinds of music files that you like. When it comes to talking about how to create playlists on iPhone, many iPhone users will choose iPhone Music app to create playlists on iPhone directly. While using iPhone Music app to create playlist on iPhone is little bit hard to add songs from your computer, and you are only allowed to add the songs which are already saved in your iPhone. Of course you can also make playlists in iTunes and sync them with your iPhone, but you can also create iPhone playlists with the third-party music managing software. This post will show you how to create playlist on iPhone with three methods. Step 1. Tap the Music icon on your iPhone. Step 2. At the bottom of the screen, tap the Playlists icon. Step 3. If you’ve replaced Playlists with another icon as described previously, tap More, and then tap Playlists. Step 4. Tap the second item in the list, then tap on Add Playlist. Step 5. Type a name for your new playlist, and then tap Save. Step 6. An alphabetical list of all songs on your iPhone appears. Note the little + that appears to the right of each song. Step 7. Tap the “+” button next to a song name to add the song to your playlist. Step 8. To add all these songs to your playlist, tap the + next to the first item in the list: Add All Songs. Step 9. In the upper-right corner, tap the Done button. 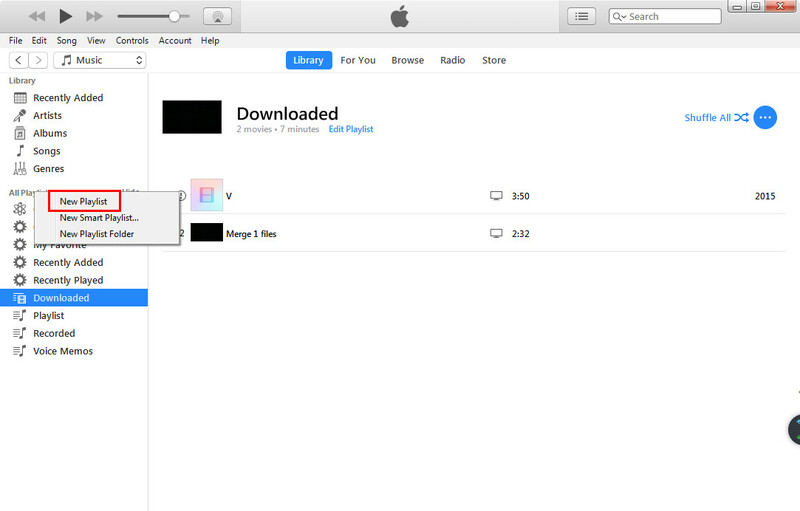 You could also create playlists on iPhone with iTunes. With your computer, you could easily create iPhone playlist in iTunes. Step 1. Launch iTunes on your PC or Mac. Go to the Library and click the “All Playlists” on the left sidebar. Step 2. Tap the “+” icon or right-click and choose “New Playlist”. And you can name the new playlist. Step 3. Click the “Edit Playlist” button to add items to playlist. Add songs to the iPhone playlist. Leawo iTransfer helps you manage the playlists of your iOS devices and iTunes. You can create, rename and delete playlists; import songs into playlists or export songs out of playlists; add songs from the Music Library to the playlists or delete songs in the playlists directly. The following guide will show you how to create iPhone playlist with Leawo iTransfer. Step 1. Run Leawo iTransfer and connect iPhone to computer with the USB cable. The software will recognize and detect iPhone. Click the name of Playlist under your iPhone, and select the playlist you want to manage. Step 2. Click the “+” button next to Playlist, and you are allowed to create playlists for your iPhone. After creating playlist on iPhone, you could right-click the name of the playlist, and you’ll find several options: Add File/Add Folder, Export Playlist, Rename/Delete Playlist. Select the playlist you want to manage and the songs will display in the right part. Click the Add button to add songs from computer to the playlist. Or select the songs and click the Delete button to delete songs from the playlist. Not only an outstanding music manager, Leawo iTransfer also can help you transfer all kinds of files between iTunes, iOS devices and PC. For example, you could back up iPhone to computer with the iPhone transfer software. If you are interested, click it out.